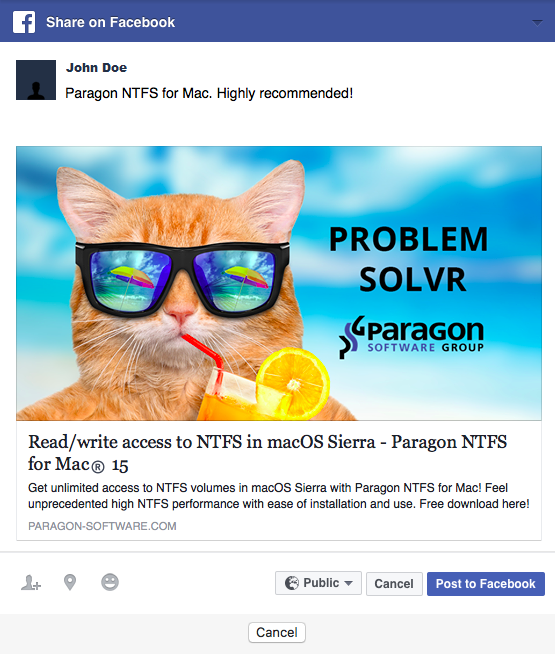 I have downloaded NTFS for Mac 15 and would like to evaluate it. How should I proceed? 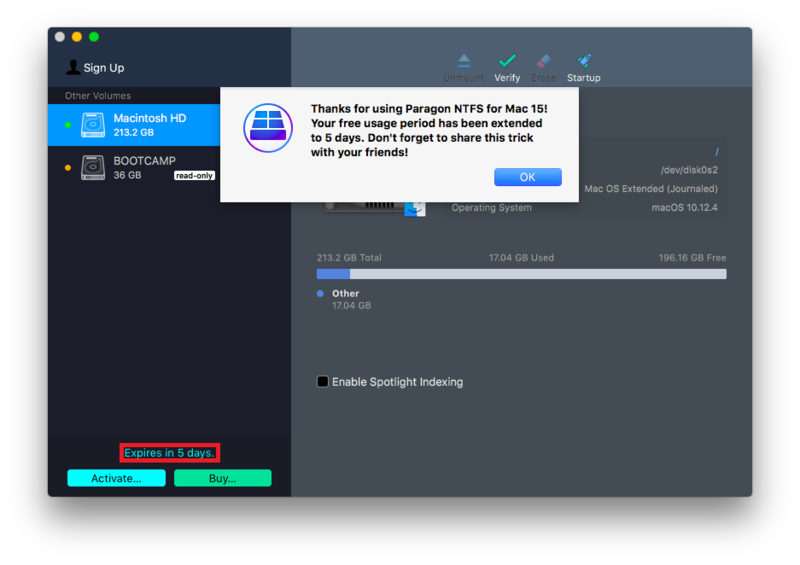 Install NTFS for Mac 15 as described in this article: How To Install NTFS for Mac 15 and select “Start 10-day Trial” when prompted. Don’t forget to Reboot your Mac. 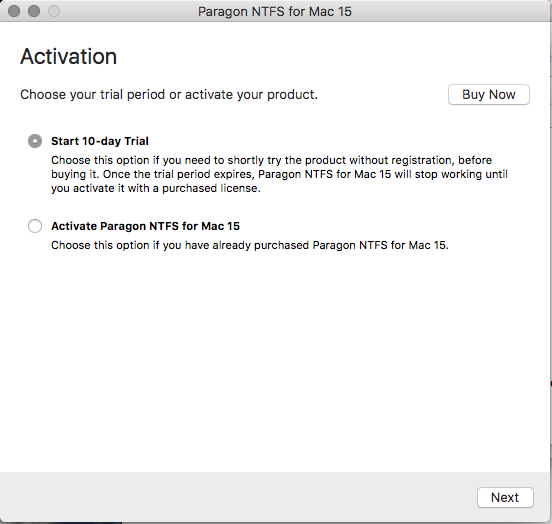 Do I need to activate the trial version to try it? No. It should be fully functional as long as trial period has not expired. You can check how many days are left in lower-left corner of the application window. My trial period is about to expire, but I don’t feel like buying the full version yet. Is it possible to extend it? Yes. When the trial period is about to expire, click on “Extend?” link. A window will appear. To extend the trial period, you can share your experience on Facebook, by pressing “Share” button. 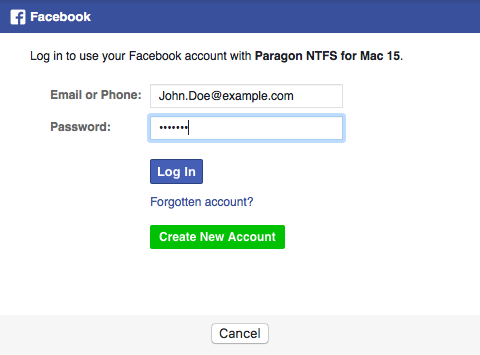 Enter your Facebook credentials to proceed and press Log In. 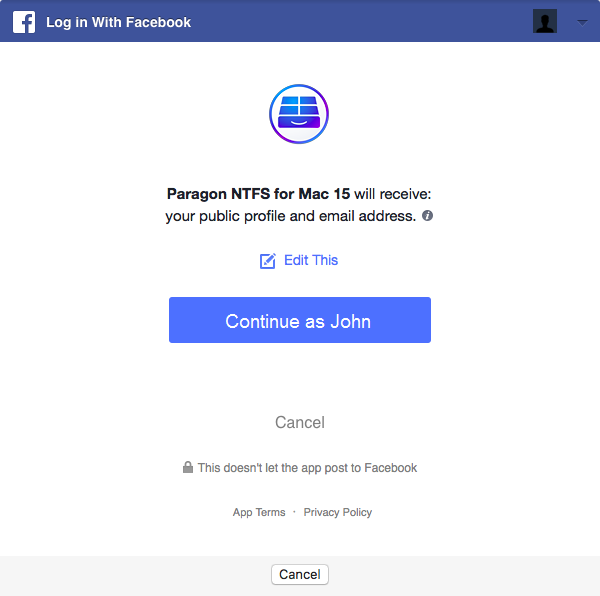 Press Continue to authorize Paragon NTFS 15 in your Facebook account. Don’t worry – your personal data will not be exposed. If you wish, you can add your comment. Then press Post to Facebook to submit the post. Done. You have successfully extended your trial period by 5 days. You can perform this procedure up to three times. My trial period has expired, and I’ve run out of attempts to extend it. What can I do now? 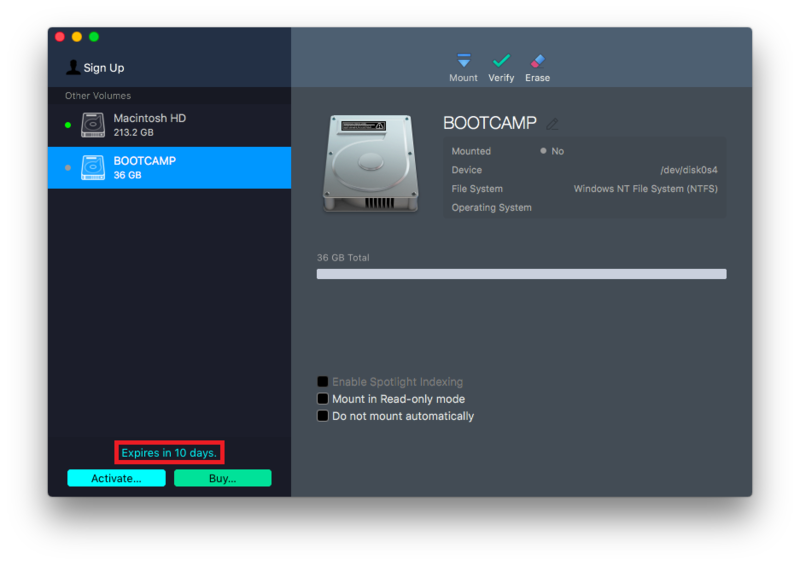 Activate the software by pressing Activate (if you haven’t bought it yet, press Buy to purchase NTFS for Mac 15), or stop using it, by Uninstalling it.